Recently, I had a chance to speak with Sylvia Whitmore, the chief executive officer of a South Texas institution, The John G. and Marie Stella Kenedy Memorial Foundation. Land Report readers and hunters in particular will appreciate the one-of-a-kind lease that is coming available in 2019. ELR: So many factors combine to make the Kenedy Ranch a Texas legend. How do you describe it to a first-time visitor? 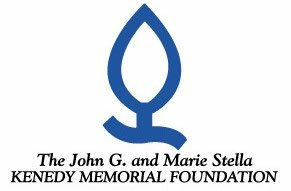 SW: The John G. and Marie Stella Kenedy Memorial Foundation (KMF) Ranch is situated in the Coastal Bend of the South Texas Rio Grande Plains about 60 miles south of Corpus Christi, Texas, along US Highway 77. First-time visitors are often amazed at the diversity of the topography, habitat, wildlife, and frankly, the sheer magnitude of the ranch. At 235,000 acres, the KMF Ranch is a huge spread, even by Texas standards. Landscapes include native prairie, coastal marshes and wetlands, brush country comprised of mesquite woodlands and oak mottes, rolling sand dunes, and fresh water ponds. The ponds are maintained year round by the ranch’s 138 functioning windmills, solar wells, and artesian wells. One of the many wildlife goals is to have a fresh water supply within one mile of any location on the ranch. 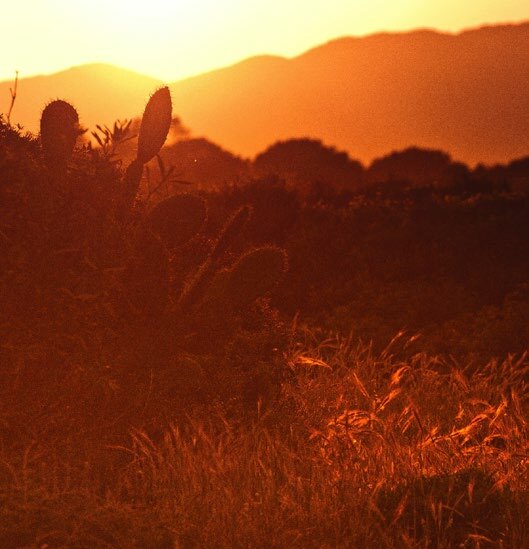 Upon entering the ranch, you quickly find yourself engulfed by the ranch’s sweeping array of breathtaking landscapes and abundance of small and large game including nilgai, white-tailed deer, bobwhite quail, waterfowl, wild turkey, mourning dove, geese, javelina, and feral hogs. As stated above, a unique attraction to the KMF Ranch is the availability of nilgai, an exotic antelope imported from India to add to the variety of game available. Nilgai are very fast animals and extremely popular with hunters because they present such a hunting challenge. 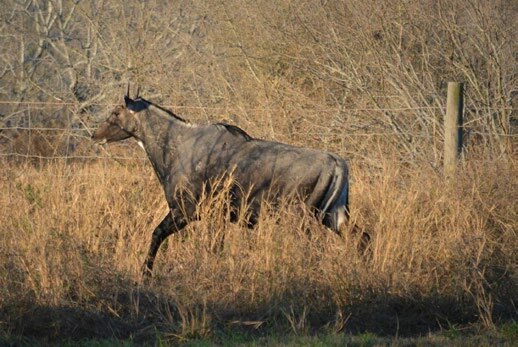 Nilgai have an extraordinarily thick hide and frequently are not taken down even when hit. Bagging a nilgai is quite an accomplishment, one that is exceptionally exciting for the successful hunter. 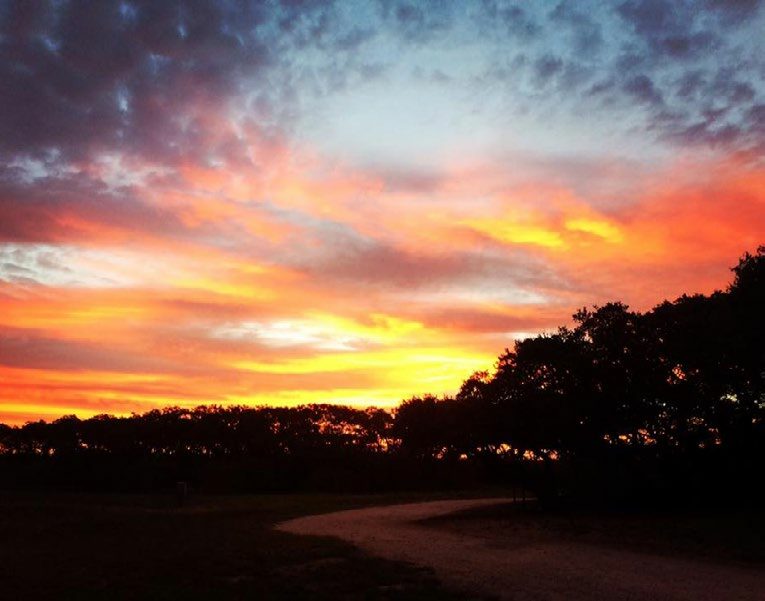 What also makes the Kenedy Ranch a Texas Legend is its colorful and distinct history. The land available for lease is part of the Kenedy Family Ranch that dates back nearly two centuries. Mifflin Kenedy and his lifelong friend, Richard King, came to this part of the country to run steamboats up and down the Rio Grande River during the Mexican-American War from 1846 to 1848. They continued this trade until after the Civil War, at which time Kenedy became a railroad developer. By that time, Kenedy had made enough money to begin buying land grants. Mifflin married Petra Vela de Vidal, a widow with six children and a landowner in her own right. In 1854, Mifflin and Petra bought the Los Laureles grant, north of Baffin Bay, and made ranching history by fencing 131,000 acres. This was the first fenced ranch of any size west of the Mississippi. In 1882, Mifflin sold Los Laureles to a Scottish syndicate for $1.1 million – money he used to purchase more land grants, including the La Parra Ranch, site of the future Kenedy Pasture Company headquarters and part of the current-day KMF Ranch. By the early 1900s, Kenedy’s La Parra Ranch was a thriving business, home of 40,000 head of cattle, 800 horses and mules, 300 employees, an ice house, a commissary, and an elementary school. Mifflin and Petra would ultimately end up with over 400,000 contiguous acres in an area known as the Wild Horse Desert and on lands that would later be named Kenedy County. 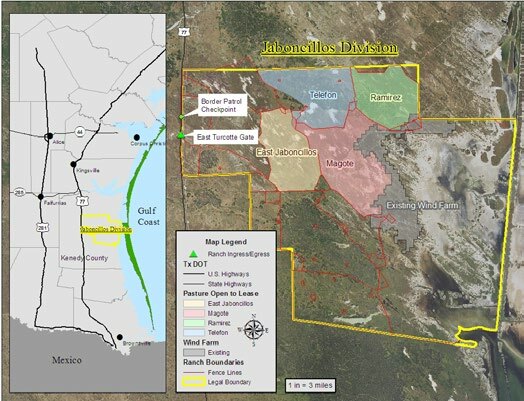 Eventually, their last two surviving grandchildren, John G. Kenedy Jr. (Johnny) and Sarita Kenedy East, would divide the 400,000-acres. Although Johnny and Sarita both married, neither of them had any children. Today, 200,000 acres of the Kenedy Family Ranch that Mifflin and Petra Kenedy began is owned by the John G. Kenedy Jr. Charitable Trust, which was founded by Johnny’s wife, Elena Suess Kenedy (The Trust), and another 235,000 acres is owned by The John G. and Marie Stella Kenedy Memorial Foundation that Sarita Kenedy East established in 1960. The monies KMF generates from its ranch lease(s) helps support KMF’s charitable giving to educational, religious, and nonprofit entities across Texas, predominately in South Texas. Through 2016, KMF has awarded over $330 million to such entities. ELR: The ranch has a 40,000-acre hunting and grazing lease available in 2019. Tell us about this unique opportunity. 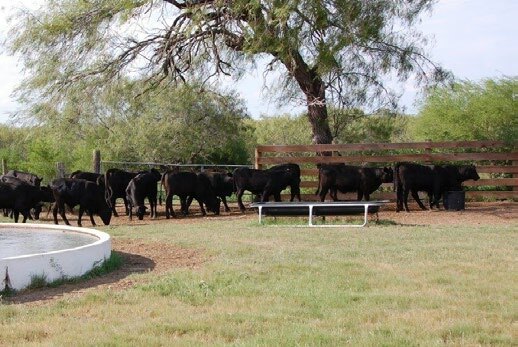 SW: Indeed, this is a unique opportunity that doesn’t come around often, to be able to lease the hunting and cattle grazing on one of the most historic ranches in South Texas. It has been nearly 15 years since this portion of the ranch was last available for lease. The acreage became available only because the current tenant, who maintains a sizeable lease on other parts of the KMF Ranch, chose to downsize. Based on current arrangements, the next possible opportunity to lease land from the KMF Ranch is not until March 2024. 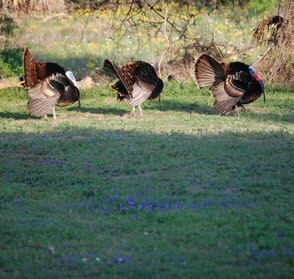 The KMF Ranch is some of the most sought after hunting in South Texas. The available land is part of our largest division, a 172,000-acre contiguous low-fence piece of property that offers abundant wildlife harvesting opportunities and also borders the Kenedy Trust Ranch, which does not allow hunting. Because we are under Texas Parks & Wildlife’s Managed Lands Deer Permit Program, hunting season for white-tailed deer on the ranch begins roughly one month earlier and ends one month later than the traditional season. Thanks to some great recent rain seasons, our quail population has been excellent. We are seeing an average of 10 coveys per hunt with an average of 12 birds per covey. 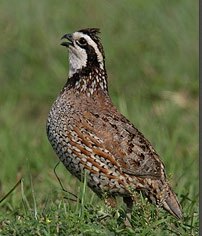 The last three years, the KMF Ranch has averaged 2,366 quail per year harvested on the entire ranch. Nilgai harvest numbers have also been trending up in recent years. 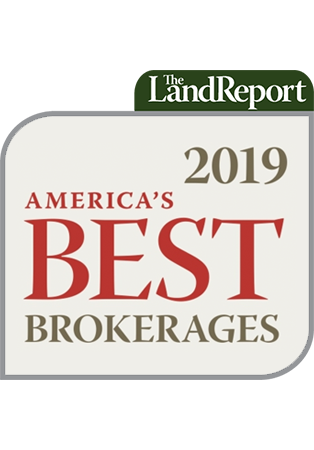 We are a bit biased, but truthfully, this is a rare chance to secure a lease on the KMF Ranch, and these opportunities are normally far and few in between. ELR: Describe the ideal lessee. ELR: What are the particulars of the lease itself — deadline, terms, etcetera? SW: Although the acreage is not available until March 1, 2019, because of the planning process leading up to this date, we are accepting bids until September 29, 2017. Initial lease terms are three years. However, we are very interested in granting longer terms, possibly up to 10 years, for proposals that include the lease tenant constructing permanent lodging facilities on the ranch. We have recently begun modeling leases that incentivize permanent improvements on the ranch by granting longer initial lease terms. While all permanent improvements that a lease tenant makes belong to KMF, this model has shown to be a win-win approach. 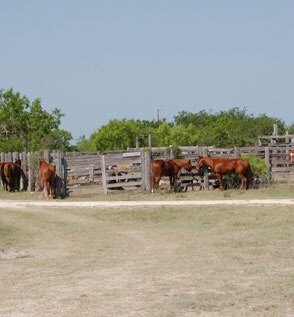 We know that our lease terms are pretty standard when lined up with other large ranches. KMF leases provide year-round exclusive hunting and grazing rights to a specific number of access permits designated by the lessee and approved by KMF. 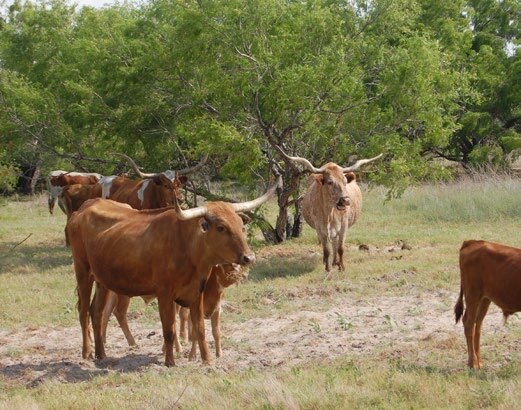 Our leases require semi-annual rent payments, insurance and liability terms, property tax reimbursements, habitat improvement and fencing expenditures, cattle stocking limits, and herd reporting, among other terms. Commercial hunting, night hunting, and day hunts are prohibited. The full lease bid package can be downloaded from KMF’s website at www.kenedy.org/leases/, along with maps of the available acreage. We encourage folks to contact us with any questions, and we know that whomever is awarded this leasing opportunity can look forward to some remarkable experiences at the KMF Ranch in the Wild Horse Desert.